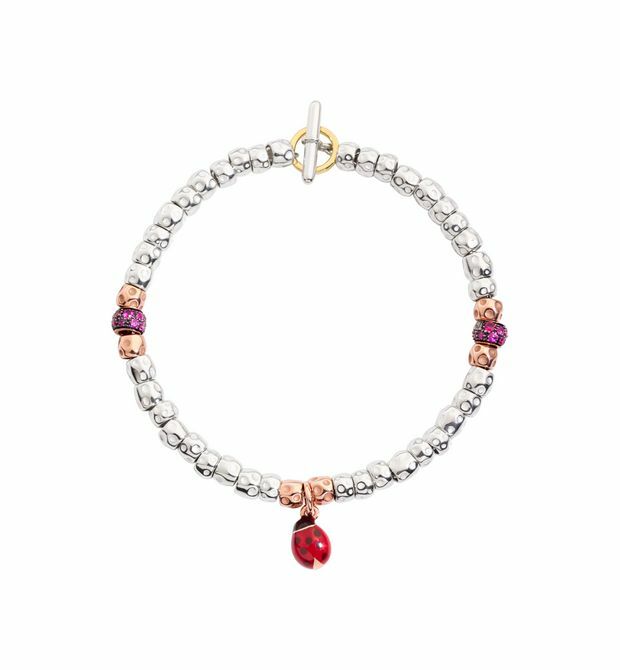 Bracelet kit with silver and 9 kt rose gold beads, 9 kt rose gold ringlet with rubies and 9 kt rose gold and colored enamel ladybug charm . 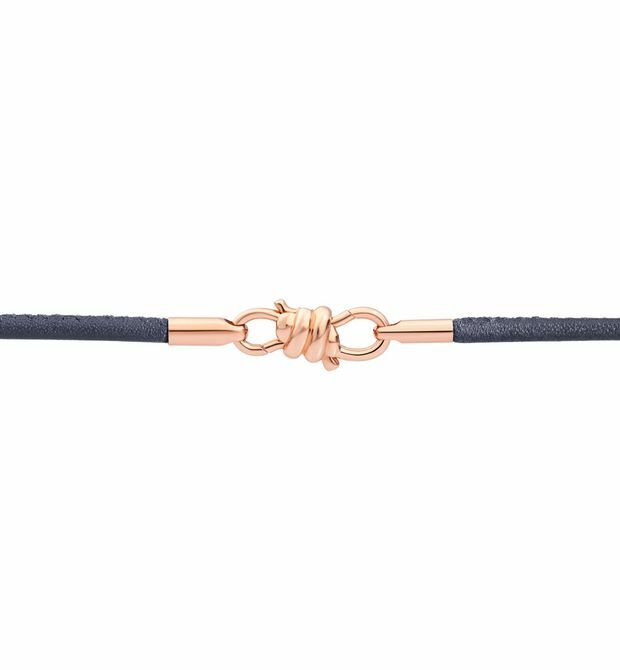 Brisé ring in 18 kt yellow gold. 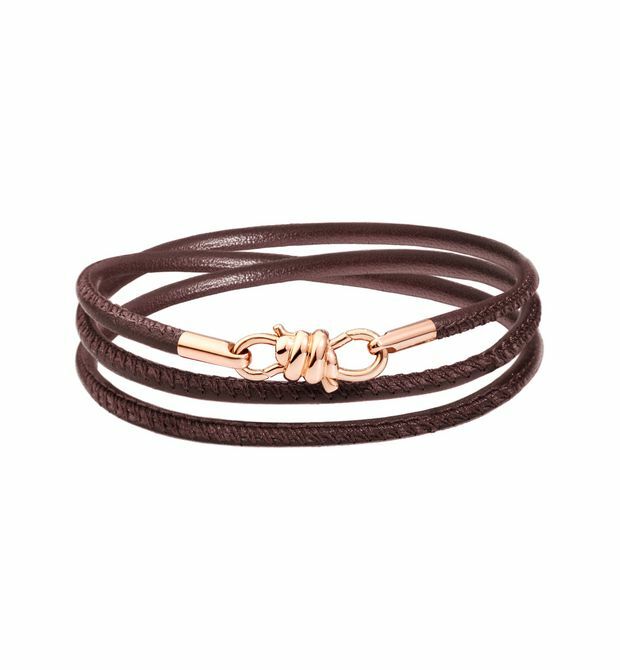 Nodo Bracelet in 9 kt rose gold with mocha brown leather strap. High-impact, with an exquisite touch of diamonds. 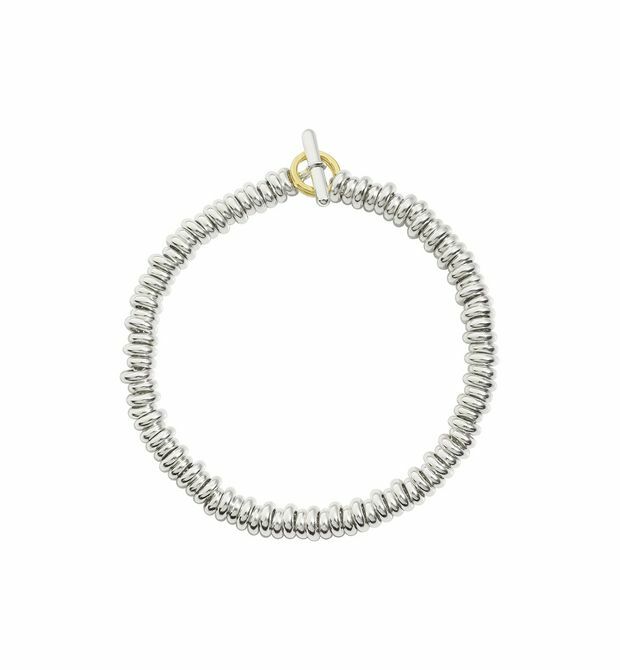 9kt white gold ringlet with white diamonds. From one bead to another, adorn your creations. 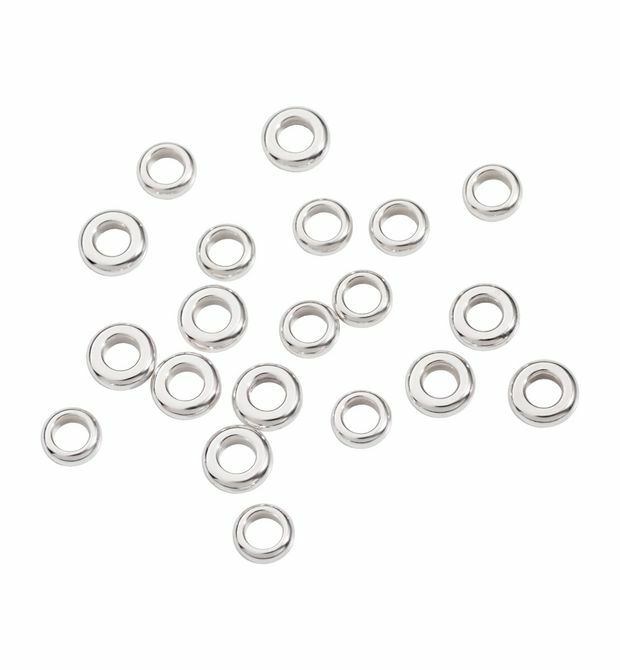 Bag of 20 silver ringlets.